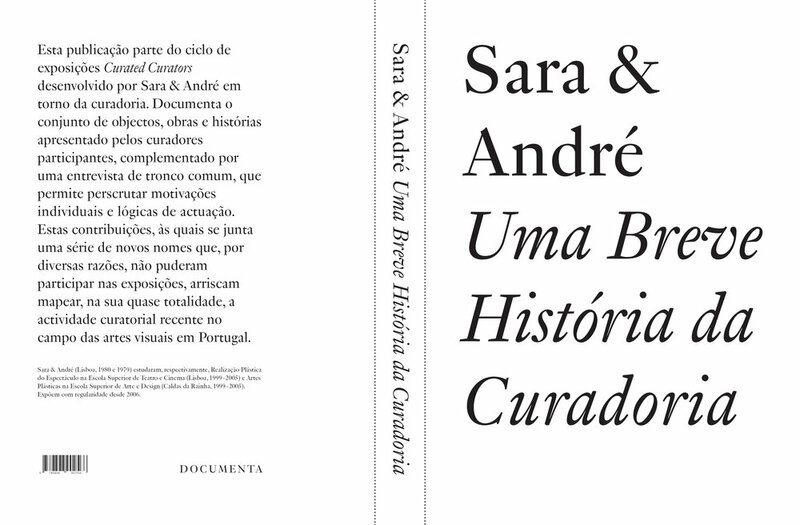 Uma Breve História da Curadoria (A Brief History of Curatorship), only available in Portuguese, is a book edited by the artists Sara & André after the cycle of three exhibitions they curated under the title Curated Curators. The book documents the three exhibitions (objects, works and stories), the artists and the curators that had participated and a few more in order to map - as exhaustively as possible - the curatorial activity in the field of visual arts in Portugal. The book also includes an interview (conducted by Sara & André) with each of the participants. The launch will happen on Saturday, January 12th at the Zaratan gallery in Lisbon, around 6 p.m.; on Thursday, January 17th at CIAJG in Guimarães, around 6 p.m.; and on Friday, January 18th at Inc. in Porto (hour to be confirmed). Feel free to pass by!